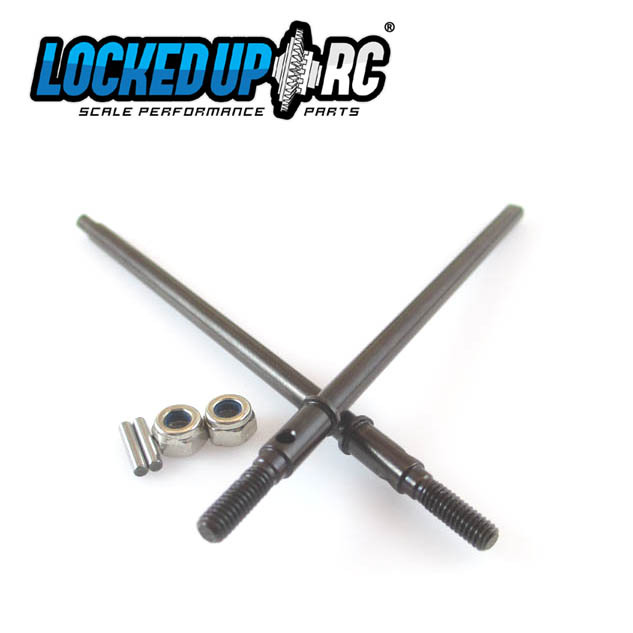 Locked Up RC is happy to present our solution for those that are looking for a stronger, reasonably priced, replacement rear axle shaft for their AX10/SCX10. 1. 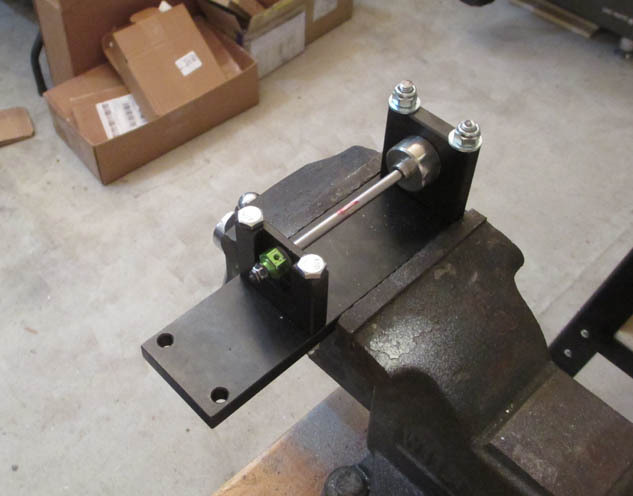 Torsional tensile strength rating of over 160in/lbs*. That is over 33% more than a typical stock shaft, which suffers destruction in the 120in/lb range. 2. We thread the end of the shaft several extra turns vs stock. So if you are trying to narrow up your rig with narrow hex hubs and our .185 SLW hubs you can run them with less or no washers behind your wheel nuts. 3. 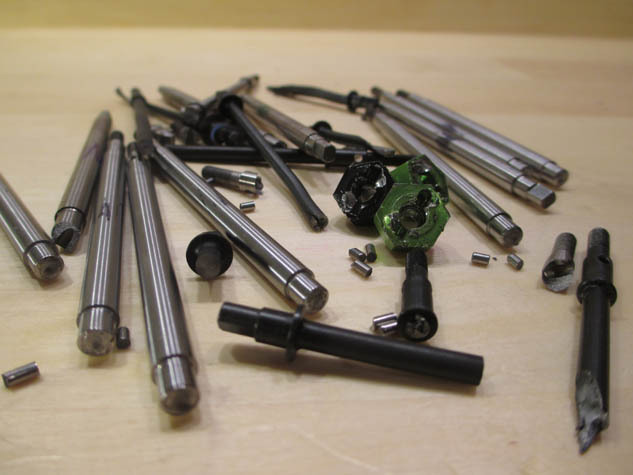 No "hat" near the tangs to more easily pass through axle tubes and past mounting hardware (like Gunnar tubes and CMS kit hardware). Even with these improvements these are a direct replacement requiring little to no modifications to a stock vehicle. You can expect a direct slide in fit with stock lockers, Holmes Hobbies lockers, etc. They will be tight with an FI Spool, because we make FI spools to be tight with everything! If your shafts are a tight fit with your locker, we suggest using our Copper Anti Sieze Grease during installation. This will help with shaft removal after extended periods of use. These are a great compliment to our FI Spools and OT Outdrives! As everyone knows, had to do a little filing to tweak in the tight that will allow the shaft to slide in and out of the FI locker. Great product over all. I run full bore big power fully beefed and don't let off till I see smoke. These axles have outlasted a half dozen axle housings, 3 sets of HD gears and are still churning away. A must have part for any HD build.